Firefighters ranked as the most trustworthy profession across all global regions (source: Trust in professions. GFK Verein. Autumn 2015). Therefore, fire and rescue services across the EU have the potential to do something more for their communities than firefighting. The Firefighters Plus project aims at helping firefighters use their position as role models to promote social inclusion within their community. To do so, five fire and rescue services and two NGOs with wide experience in the field of social inclusion have joined forces to develop the first open and multilingual online training course for firefighters on how to use their position as role models to promote social inclusion. UNIT 1: Introduction to social inclusion and the power of role models in promoting social inclusion. UNIT 2: Identifying and assessing the needs of individuals and groups suffering or at risk of social exclusion. UNIT 3: Developing and implementing actions to promote social inclusion. UNIT 4: Assessing the impact of the implemented actions, follow-up and dissemination of the results. Once developed, the online training course will be deployed as an OER under the Creative Commons licence “Attribution-ShareAlike 4.0 International (CC BY-SA 4.0)". This cross-sectoral and cross-border partnership is an initiative of Frederiksborg Fire and Rescue Service (Denmark) in collaboration with Northumberland Fire and Rescue Service (UK), Provincial Headquarters of State Fire Service in Poznan (Poland), Instituut Fysieke Veiligheid (The Netherlands), Alcala de Guadaira Fire and Rescue Service (Spain), Fundatia Centrul de Resurse pentru Diversitate Etnoculturala (Romania) and Stowarzyszenie WIOSNA (Poland). 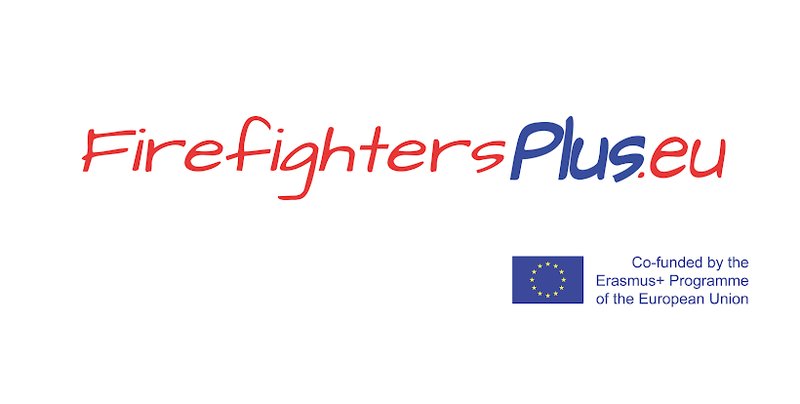 The Firefighters Plus project is co-funded by the European Commission within the framework of the Erasmus + Programme.